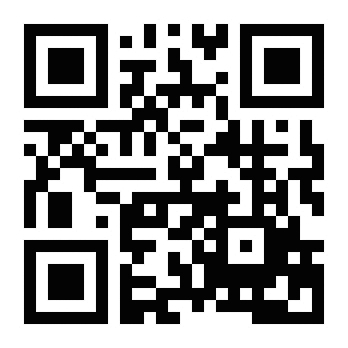 Download the app that matches your device. 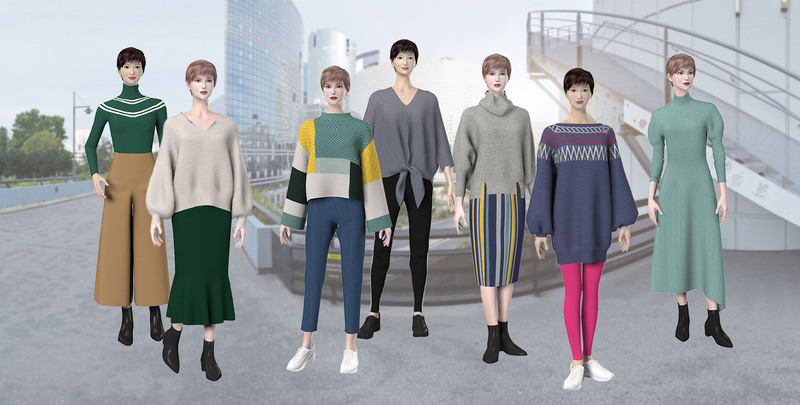 SHIMA SEIKI's original knit sample collection can now be viewed as virtual samples created on the SDS-ONE APEX3 3D design system. Sample2 new samples added to Sporty Elegance theme. Trend keywords for 2020 S/S are "stripe" / "frill" / "lamé". TrendTrend keywords for 2020 S/S are "stripe" / "frill" / "lamé". Look forward to new samples added to the Sporty Elegance theme this month. 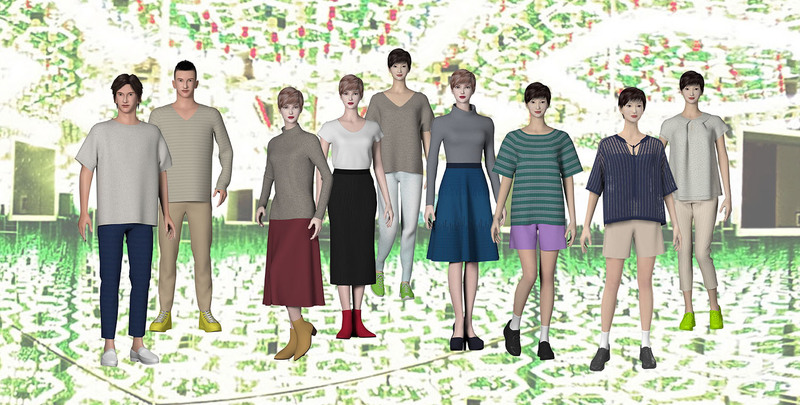 ApplicationDownload of VR-knit.com application for Windows PC has resumed. Sporty basics are complemented with delicate features such as lace and airy rills, resulting in an active yet feminine collection.It is a crossover between sport and couture presented for the modern urban active woman. A blend of ethnic and resort themes that hint at the tropics. A cheerful mood typical of resort fashion allows me to escape and relax wherever I am. Begin with a basic batter of city casual, fold in some blocking and geometric patterns as well as some spicy neon coloring to add some sporty taste. 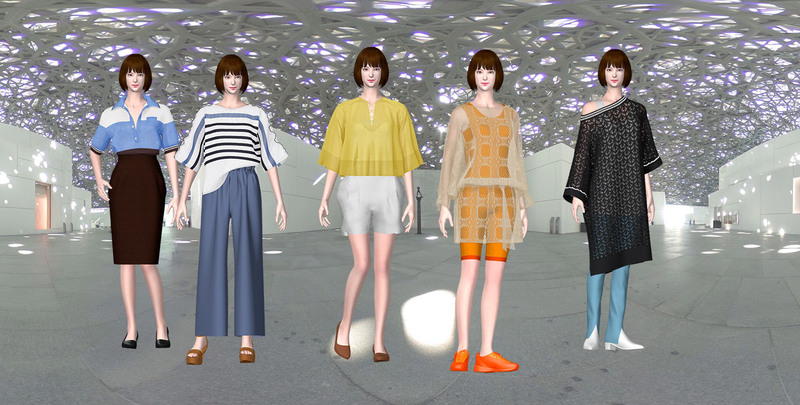 Finally shape to form various silhouettes big and small, et voilà, you have a recipe for freestyle fashion! Like music, fashion comes in cycles. What we call a retro revival is the timeless resonance of the classics. The main melody is now being played enfatico by feminine yet substantial silhouettes. Heat-retention and breathability makes knitwear suited to outdoor applications. 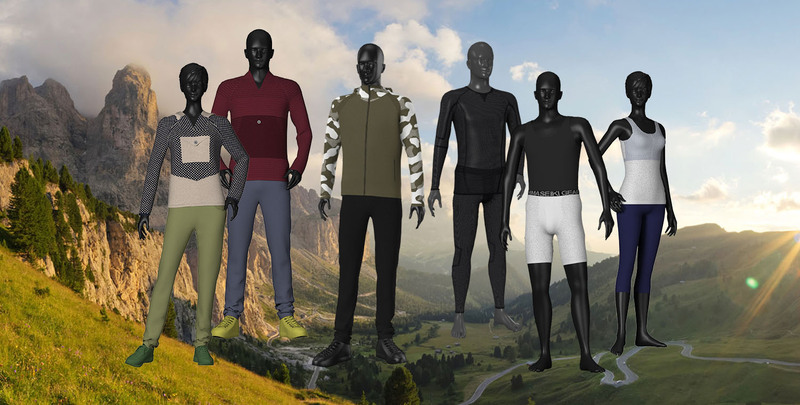 Furthermore, three-dimensional WHOLEGARMENT knitwear fits the body perfectly, while quilted fabrics using inlay technique offer protection from impact as well as the cold, perfect for outdoor apparel use. Inherent stretch characteristics of knitwear offer fit and comfort that is suited to sports and exercise. 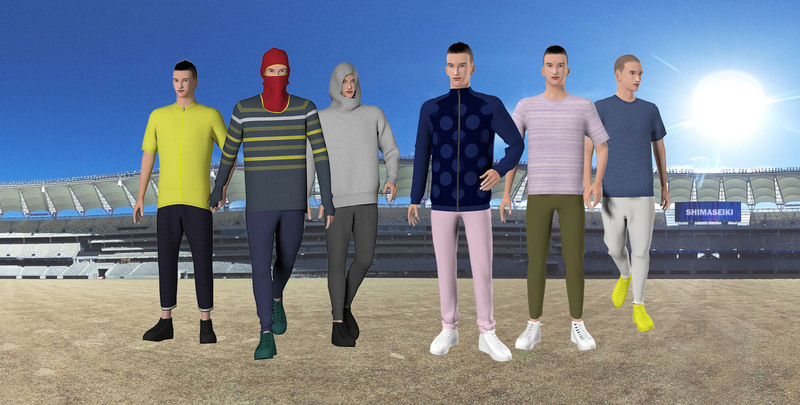 Seam-free WHOLEGARMENT knitwear goes even further by providing ultimate three-dimensional fit that makes it ideal for sportswear applications. Who says that fashion has to be a certain way? Just because it sells, doesn't mean it's good. Beyond the established pictureframe stretches a canvas on which I emphasize silhouette and other fine details, as can only be appreciated on simple items. Coloring outside the lines, I declare A manifesto to call in a new age of fashion. Fundamental fashion that goes beyond the basics. Besides being affordable, looks and comfort are essential because I wear them everyday. Their use of recycled yarns; their reversible features make them reusable in more ways than one. At first glance, modest. In reality, quite an ambitious collection. Bold textures, contrasting materials, and highly expressive prints. Their seemingly crude combination induces a stylish un-refinement. 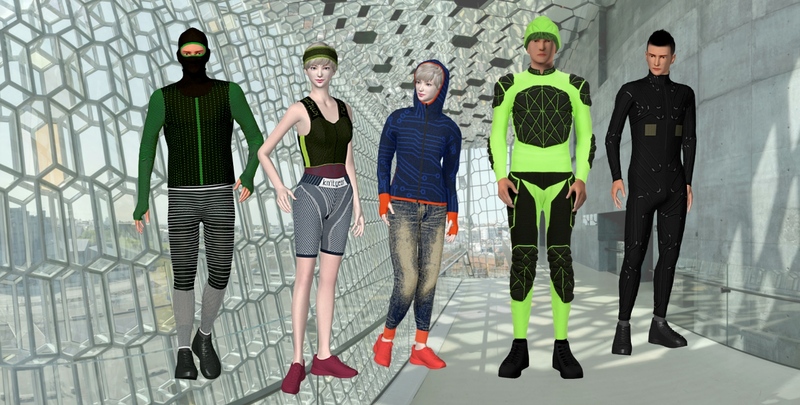 From urban high-fashion to functional athletic gear, both design and performance reach their limits—then go further beyond. While gender and seasons—even tradition and value—become obscure, I wish for a collection that allows me to maintain my identity. 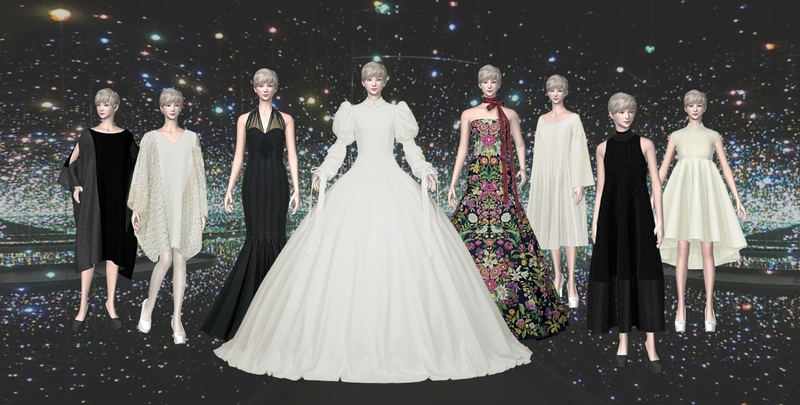 Ideal dresses that maximize each person's individuality. Silhouettes are designed so that the attraction can be felt even from behind. A discriminating dress is the synthesis of all fashion before it. It is complete; yet at the same time it is a prologue to a new chapter. Sporty basics are complemented with delicate features such as lace and airy frills, resulting in an active yet feminine collection. It is a crossover between sport and couture presented for the modern urban active woman. ® 2017-2018 SHIMA SEIKI MFG., LTD.